Bring dawn all ingredients and reach 80000 points to complete the level. You have only 22 moves. This level have normal difficulty but have few chocolate machines that could make problem. 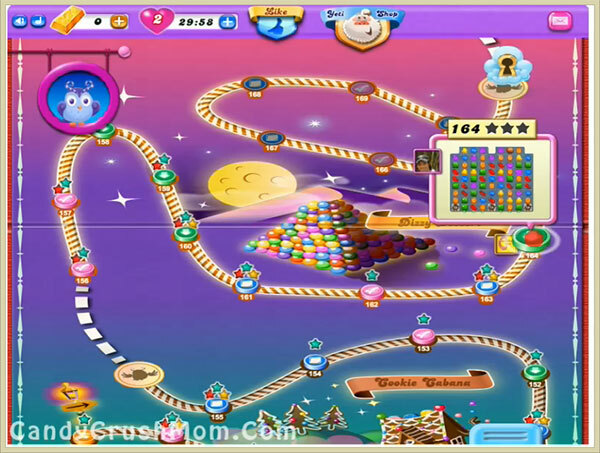 First you should try to play from bottom of the board and make special candy anywhere you get chance. You might need to use special combos to take down ingredients or moon struck might also take it down if you have luck so try to play till last move. We completed this level with 118720 score by using same strategy and luckily got few special candies that help to end level with two star score.